The CoNECt lab believes in making our connectome tools available for anyone to use. Our method for network modularity, PLACE, is our first offering to the neuroimaging community. Stay tuned for more! 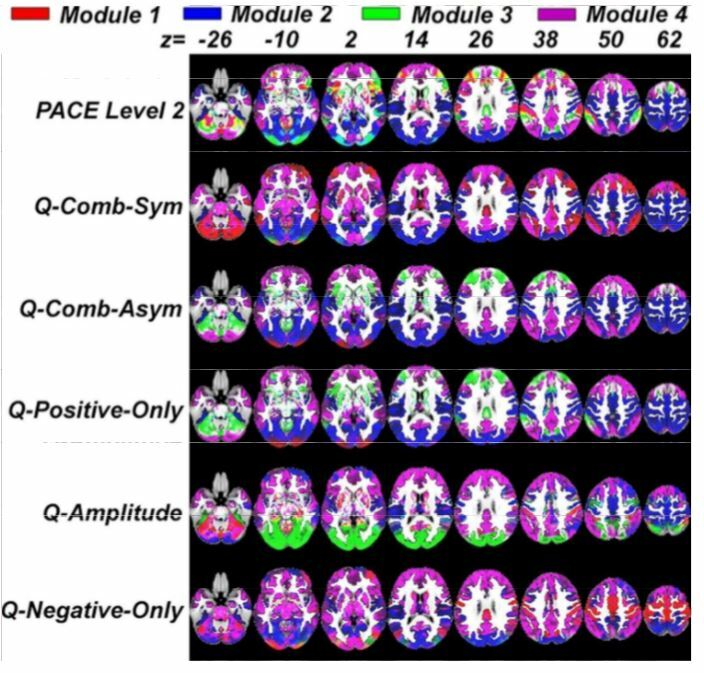 PACE is an alternative, complementary method for determining modularity in functional brain networks. PACE exploits exploits how frequent the BOLD-signal correlation between two nodes is negative. It has been validated using the HCP and F1000 datasets. Download it at the link below and try it with your own data! 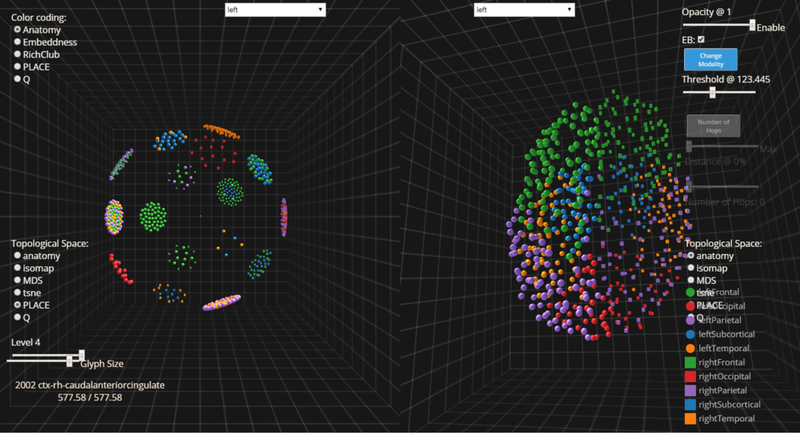 NeuroCave is a connectome visualization tool that enables the user to perform explorations of the intrinsic geometry of the brain, by letting the user switch quickly different topological spaces where the connectome is embedded. With a simple and easy-to-use interface, users can explore all the connections with a edge-on-demand technique and focus on very specific area by switching on and off regions of the brain. Simple analytics such as nodal strength and shortest path trees can be computed on the fly. This tool has been developed with virtual reality in mind and it is compatible with the Oculus Rift and requires the Oculus Touch input. Path length associated community estimation (PLACE) is a comprehensive framework for studying node-level community structure. Instead of the well-known Q modularity metric, PLACE utilizes a novel metric, ΨPL , which measures the difference between intercommunity versus intracommunity path lengths PLACE consists of the following: (1) extracting community structure using top-down hierarchical binary trees, where a branch at each bifurcation denotes a collection of nodes that form a community at that level, (2) constructing and assessing mean group community structure, and (3) detecting node-level changes in community between groups.. In this video, we see how PLACE iteratively creates community structures over 4 stages. Not every edge in the diffusion-MRI derived structural network is utilized in each specific brain status. 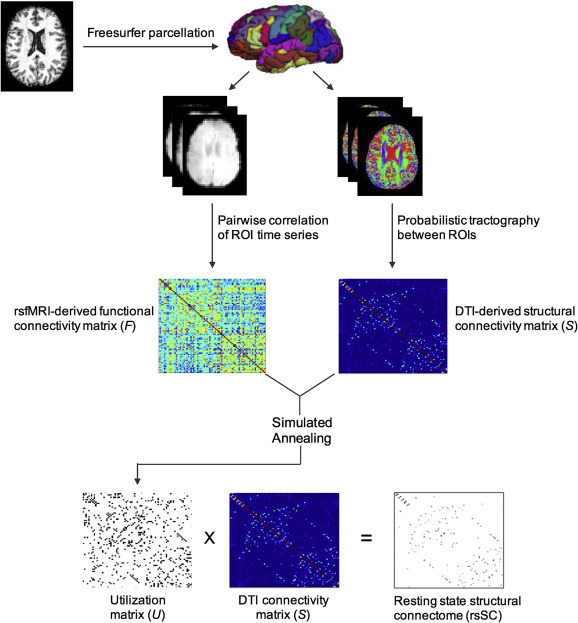 Therefore, this tool, which we name functional by structural hierarchical (FSH) mapping, is to predict functional MRI (fMRI) correlation matrix using diffusion MRI-derived structural connectome. The output is a binary utilization matrix, which indicates the utilization of the structural network edges.